Great value island boat transfers in Fiji from as little at $70 FJD to Coral View Resort or $100 FJD to Blue Lagoon, just select your destination for an instant quote and book securely now. We sell most ferry boat transfers out to the Mamanuca Islands & Yasawa Islands. There are now quite a few different companies you can choose from. The new Seabus is a very cheap way to get to the top of the Yasawa Islands for as little at $70 FJD one way if you are staying at Coral View Resort. For other resorts it’s $100 FJD. On the Yasawa Flyer for the same location it will cost $179 FJD. 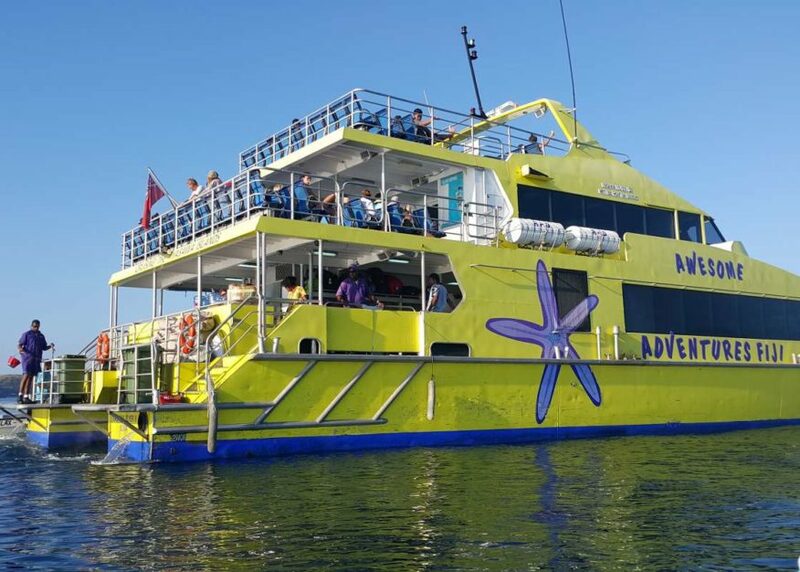 But the two boats are very different, the flyer has air-con, captains lounge, free Wifi, cafe, whereas the Sea Bus is quite basic, smaller with no air-con. Just depends on your budget really. Yasawa Flyer – (Yellow boat) Ferry servicing Mamanuca & Yasawa Islands – Free Nadi pickup/drop off – departs Denarau Marina daily at 8.30am returns 6pm. For pricing choose your “From” location as Denarau Marina. Seabus Fiji – servicing North Yasawa Islands only – No transfers from Nadi, make your own way – departs Lautoka Wharf daily at 8.00am returns 4pm. Pricing coming soon. Contact us for bookings in the meantime. 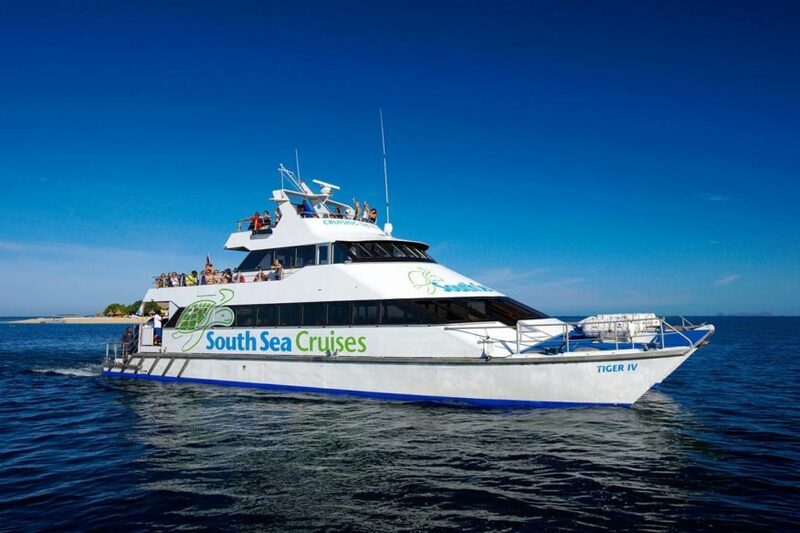 South Sea Cruises – (White Boat) Ferry servicing Mamanuca Islands only – make your own way – departs Denarau Marina daily at 9am returns 5.45pm. For pricing choose your “From” location as Denarau Marina. Mamanuca Express – Private Water Taxi Servicing Mamanuca Islands (and some Yasawa Islands on request) – Make your own way – departs Denarau Marina daily, 24 hour 7 days a week service. For pricing choose your “From” location as Denarau Marina. 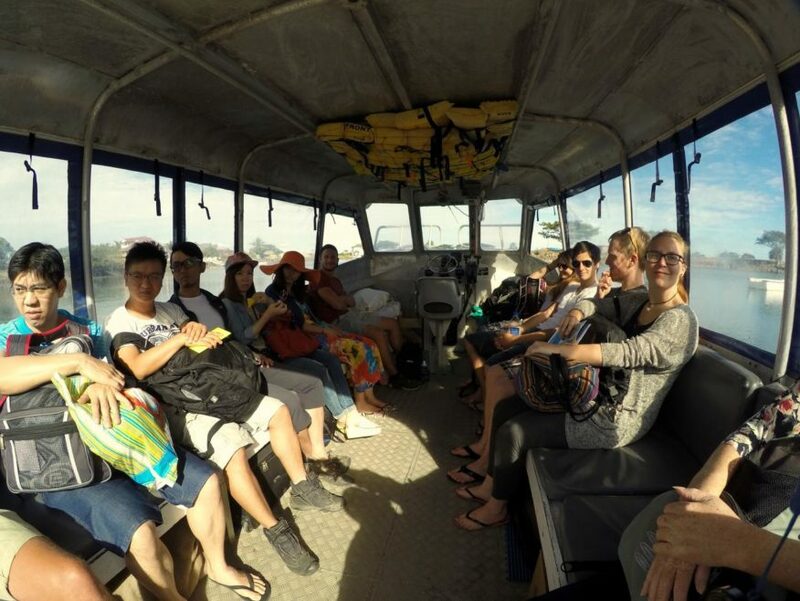 Ratu Kini Cruises – Ferry servicing Mamanuca Islands only – Free Nadi pickup/drop off – departs Fantasy Island Wailoaloa daily at 10.00am returns around 2 to 3pm. For pricing choose your “From” location as Fantasy Island Wailoaloa. Use our instant online booking form below, pay a small deposit, then the balance on arrival. If you pay in cash, you’ll avoid extra credit card fees. As soon as you book we’ll send you an “Order Pending” email to say we have received it. We then book your trip (as fast as humanly possible) then send you a second “Order Confirmed” email with all the important details of your trip, pick up times, booking reference number etc.